Miss Intercontinental is one of Big7 international pageants that is conducted annually by the organizations where contestants from all around the world represent their respective countries and compete for the prestigious crown. The finale of this grand pageant will take place in the first month of the next year, but the national level crowning for the same is underway. 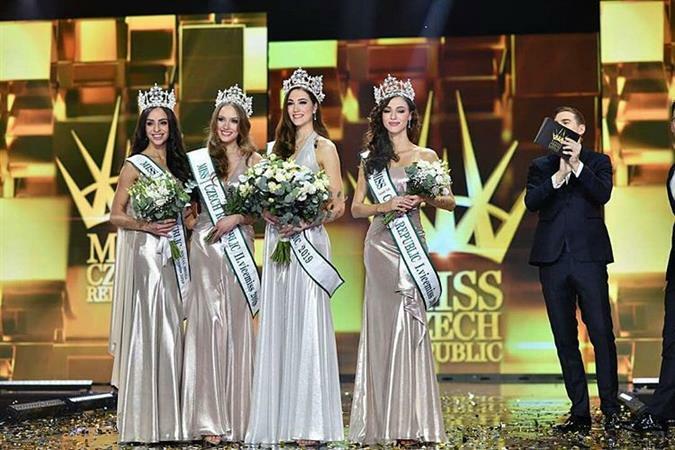 Correspondingly, the Miss Czech Republic 2019 held its grand finale recently on 7th February 2019 at Bobycentrum Zoner Bobyhall, Brno, Czech Republic and the evening saw verdict of Mirka Pikolová as the 3rd Vicemiss and received the crown of Miss Intercontinental Czech Republic 2019. After she won the coveted title, she earned the right to represent her country Czech Republic in the international pageant of Miss Intercontinental 2019 which will take place in the initial month next year. Now it’s the time for this young 25-year-old diva to pack her bags and face new challenges of life as she will now expedite the journey of Miss Intercontinental 2019. Angelopedia wishes Mirka all the very best and hopes that she experiences her journey of Miss Intercontinental 2019 gracefully and make the nation prouder!